So, you have Atlassian tools installed, but they’re not working quite the way you expect it to. Maybe it’s a bug. Maybe it’s not. 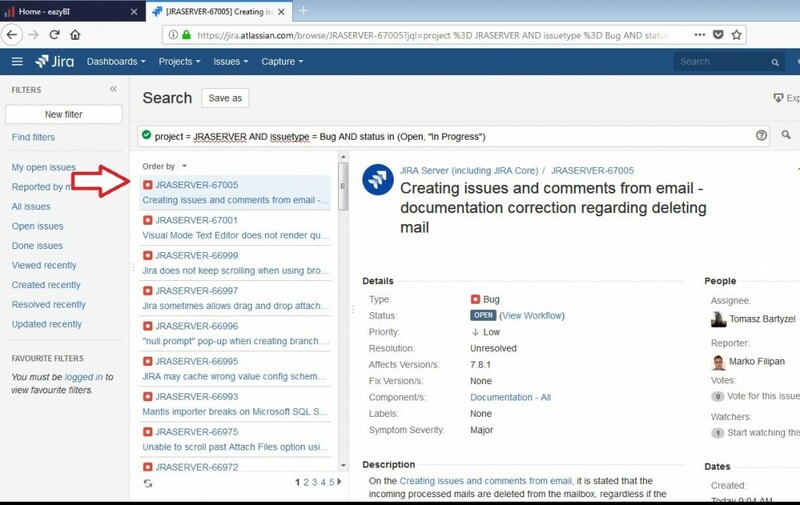 Either way, before you spend gobs of time trying to track down and define this bug, you can first find out if Atlassian is already working on this issue by searching Atlassian’s external Jira. If it really is a bug, it’s likely that someone else has discovered it already. 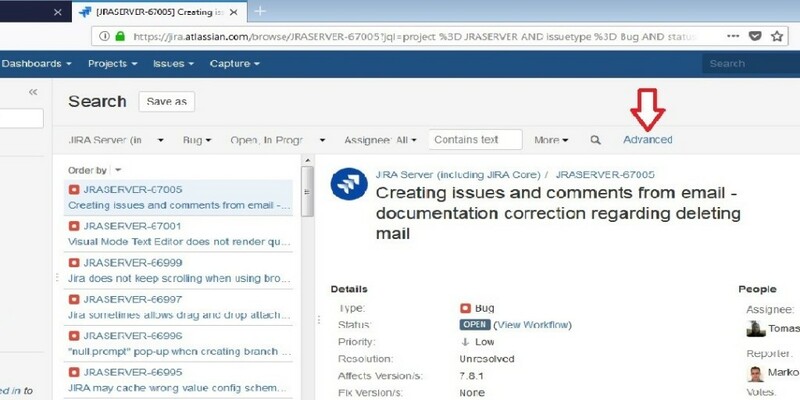 Project: Select the type of Atlassian tools (such as “Jira Server”) in which you’re having problems. Note: Atlassian separates the Server version issues from Cloud, so be sure to choose Jira Project that corresponds to the platform you are running on. Type: Choose the appropriate issue type. More: If you want, you can use this option to narrow things down even further, such as by choosing “affects version” and then choosing a version from the associated dialogue box. Once you have made your selections, you must click on the magnifying glass icon to start the search. You cannot just hit the “Enter” key on your keyboard. Once again, when you are ready to start the search you must click on the magnifying glass icon. Review the search results – A list of issues will now come up on the left side of the screen. If there are too many results, go back and narrow your search. If nothing comes up at all, adjust your search to be broader. If it’s a manageable number, scroll through to see if your issue is already in the system. Priority: What priority level has Atlassian assigned to this issue? Assignee: If this is listed as “unassigned,” you know that nobody is currently assigned to work on this issue. Vote: It’s a good idea to click under “Votes” to “Vote for this issue.” Ask everyone else on your team to do so, also. Voting is a way to bump the issue up on Atlassian’s radar and let them know that this issue is important to you. This is especially important if they don’t have this labeled as a high priority issue. Watchers: Click “Start watching this issue” to keep an eye on it. Activity: Check the “Comments” tab to see if there are any comments. Although sometimes the comments sections on these bugs are just gripe sessions filled with non-useful notes, other times the comments point to viable work-arounds that others have already found. 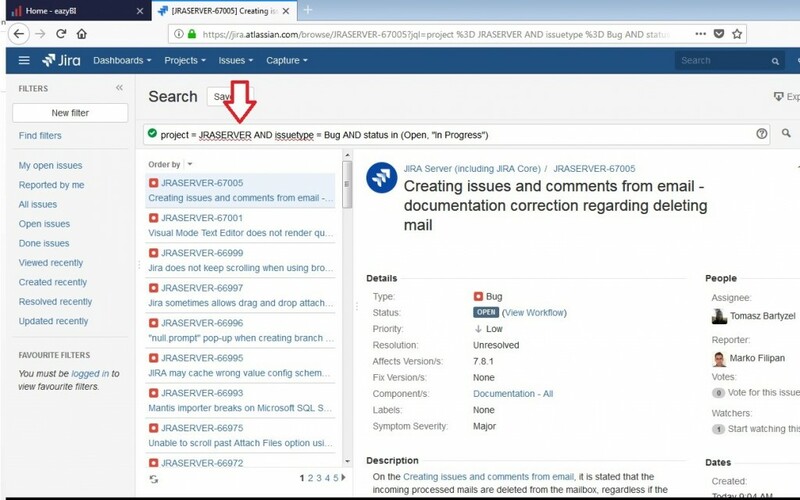 Before you wrack your brain trying to solve a problem with your Atlassian tools, or waste hours of valuable time trying to isolate a bug, go to Atlassian’s external Jira to see if the problem is already defined and if a solution already exists. If you need help implementing or troubleshooting Atlassian tools, give us a call. As Atlassian Platinum Solution Partners, we have the expertise you need.